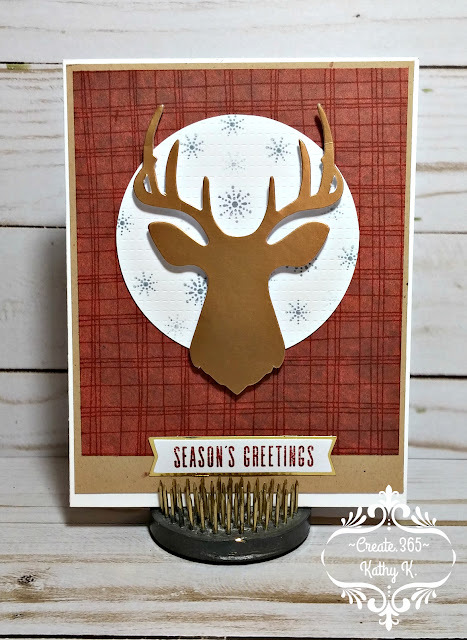 Today's card was inspired by the November sketch @ Christmas Card Throwdown and will also be entered @ Weekly Christmas Card Challenges, @ Merry Monday for "Kraft and Red", and @ Get Creative Challenges for "Holidays". I started this A2 sized card with a vertical, side-folded white card base, kraft cardstock and some dark red patterned paper that I over-stamped with a plaid background stamp from TAC in a dark red ink. Here you can see the texture in the background of the white circle much better and that I adhered the deer using mini foam pop dots. I love the way that this card came together and it was super fast to make because I had everything already out on my desk from other projects that I was working on at the time. 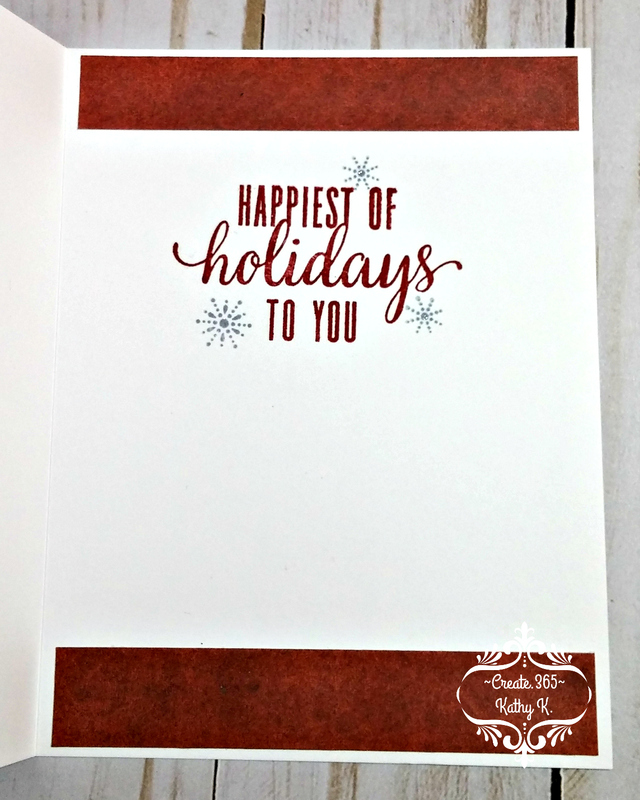 Inside, I stamped the larger sentiment in the red ink again plus several more of the snowflakes in blue/gray for accent. Top and bottom I adhered left over pieces of patterned paper from trimming the card front. Labels: Christmas, Paper Pumpkin, Stampin' Up! 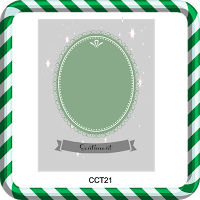 Great design, perfect masculine card. Lovely stamping too. Thank you for joining us at Christmas Card Throwdown this week. Gill, DT. Fabulous kraft deer head on the plaid, Kathy! Just love how you finished the inside too! Thanks for playing along with us at Merry Monday!! 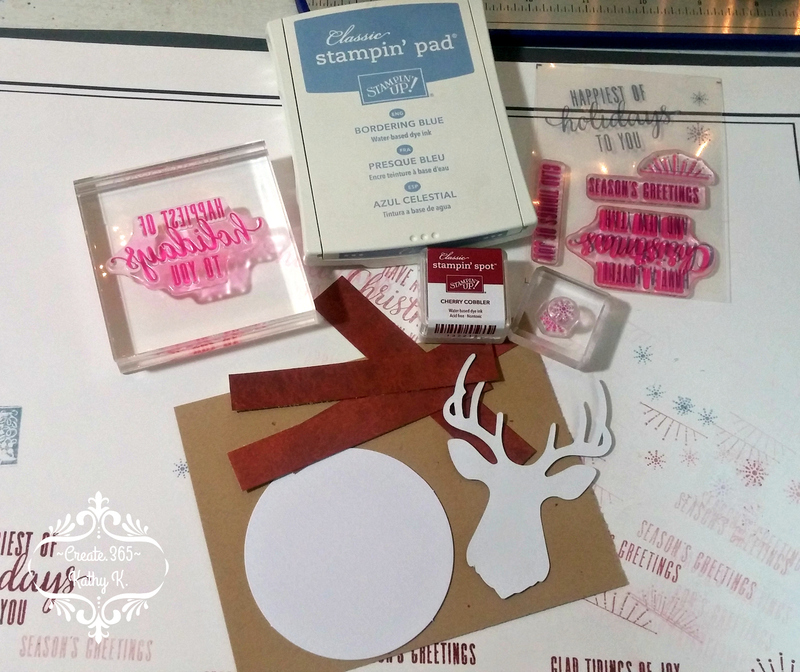 Wonderful product selections - really like that overstamped patterned paper! thanks -I sometimes forget that something so simple can make such a difference, lol! Handsome, festive card Kathy! Love it! Lovely card. Thanks for joining us this week at Merry Monday. Beautiful card Kathy! 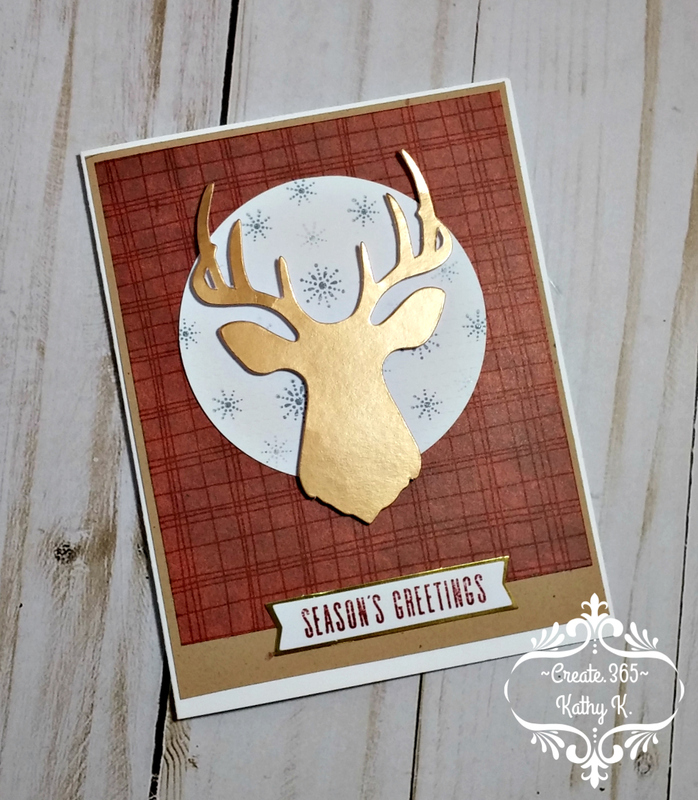 Love the gorgeous shimmery golden deer silhouette! Great take on the challenge! thank you for stopping by and taking the time to leave such kind words! 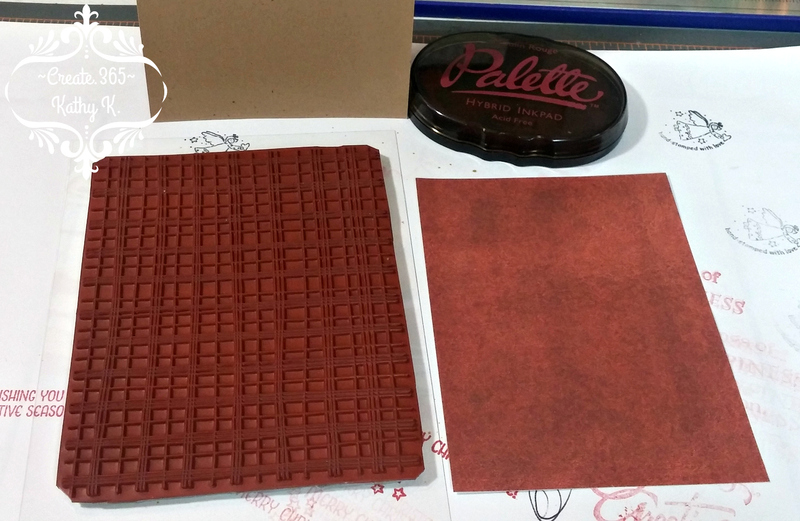 I love all the different textures you have used on your card. Such a cute idea. 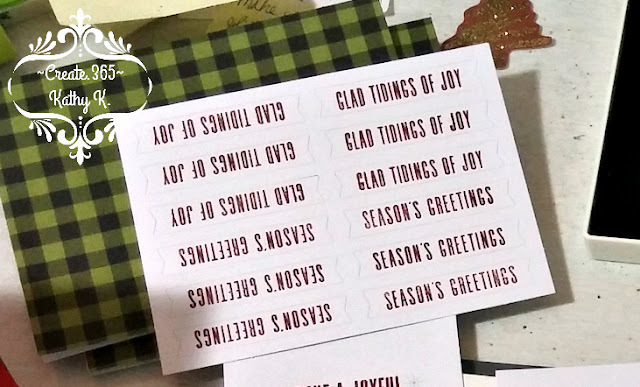 Thank you for playing along with Christmas Card Throwdown. I love it when things come together quickly, especially at this time of year. Your background is very warm and cosy and makes a great contrast. 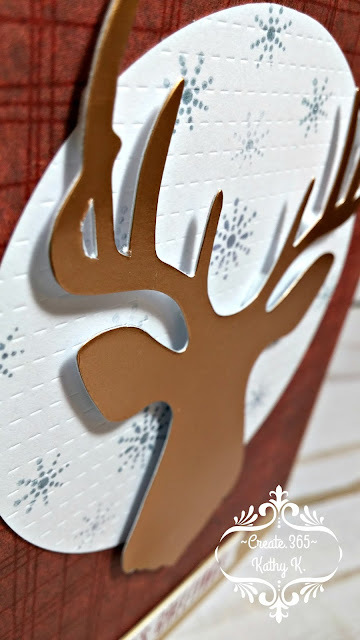 Fabulous card, I love masculine style design. Thank you for joining us for Merry Monday.